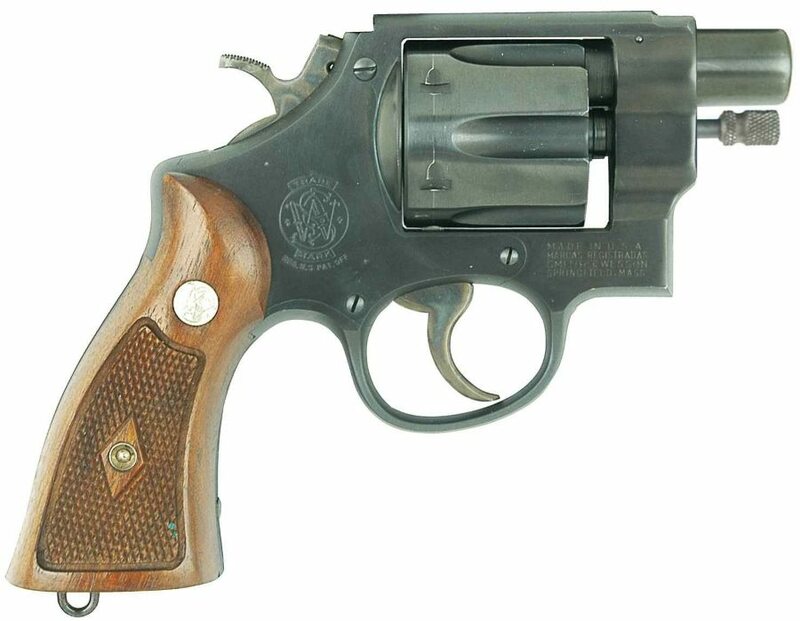 Quiet Special Purpose Revolver, or QSPR un short, was born out of US Army requirements for a dedicated close combat weapon for use in tunnels, extensively used by North Vietnamese forces during Vietnam war. 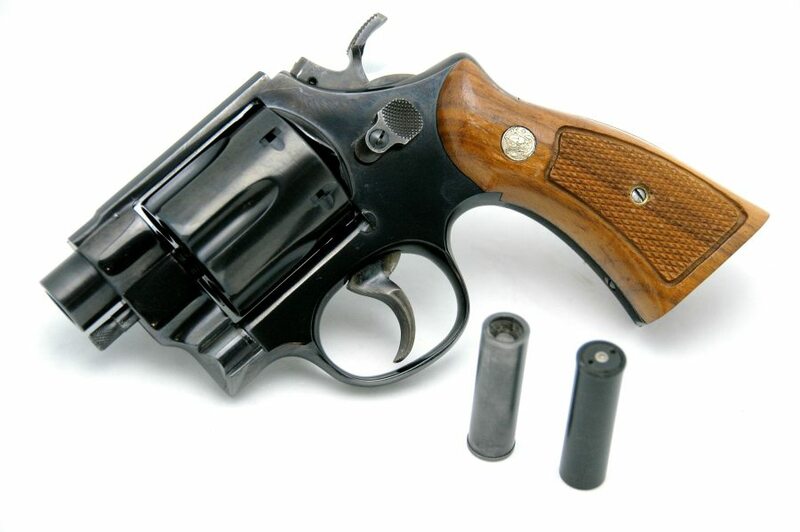 Requirements were issued in 1967, and called for a handgun with minimum sound and flash signature for use at very short ranges. The QSPR revolver was designed by AAI Corporation in close cooperation with US Army Land Warfare Laboratory at Aberdeen Proving Ground. To achieve minimal sound and no flash during discharge, engineers at AAI used so called “captive piston” cartridge system, where hot powder gases are captured inside the cartridge case once their short work of expelling a payload is done. To achieve this effect, AAI designed special cartridge case, machined from steel. It contained a small load of propelland behind a cup-shaped piston. Payload of the round consisted of fifteen tungsten balls (buckshot), each ball weighting around 0.5 gram. Upon discharge, powder gases violently accelerated the piston and the payload in front of it out of the case, butfront of the case had a constiction to capture the pisot and hold powder gases inside the case. As a result, sound of discharge was only about 110 dB, similar to that of suppressed .22LR pistol. To fire this cartridge, engineers at AAI modified several Smith & Wesson model 29 revolvers, originally of .44 Magnum caliber. They installed new, short and smooth-bore barrels with 10mm caliber, and new cylinders. Since gun was intended for use in dark tunnels and at very short ranges, no sights were fitted to the QSPR revolver. Depending on the source, total number of guns made was between 25 and 250. Some of QSPR reolvers were shipped to Vietnam and field-tested in actual combat, although most of its use was recorded during various ambushes set by US SOF against Nort Vietnamese forces, and not in the tunnels. Several improvements were requested, and work on the QSPR revolver continued trough 1970 and 1971. However, with Vietnam war winding down, US Army lost interest in this project and work on QSPR was terminated in around 1972. Very few QSPR revolvers survived to this day. It must be noted that AAI corp used same ‘captive piston’ noiseless ammunition concept for other experimental systems, such as 12 gaguge noiseless shotgun shells or 40mm DBCATA noiseless grenade launching system, but none were adopted. This comes in stark contrast with similar work in USSR and Russia, where a number of captive piston noiseless firearms were designed and adopted for Spetsnaz use starting in early 1960s, including at least one noiseless revolver, the OTs-38.